Welcome back to another installment of The Workbench . 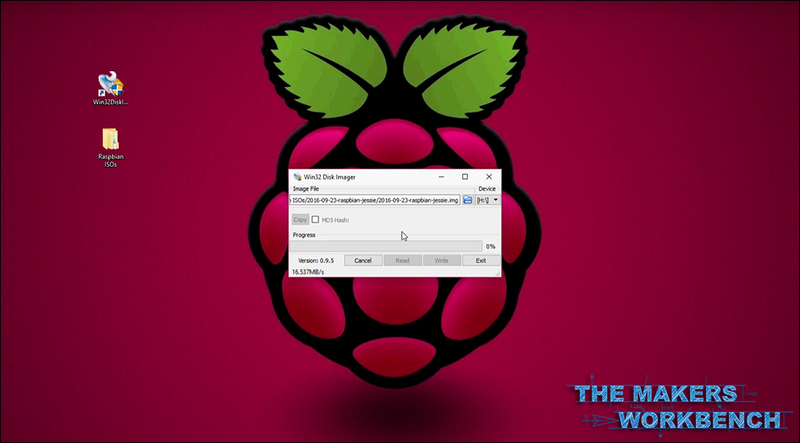 In this episode I walk you through the process of installing the latest version of Raspbian onto an SD card for use with a Raspberry Pi. This is the first episode in a series of videos in which I cover the basics of getting a Raspberry Pi up and running from scratch. The series will serve as a foundation to future Raspberry Pi project videos that I'll be creating soon. 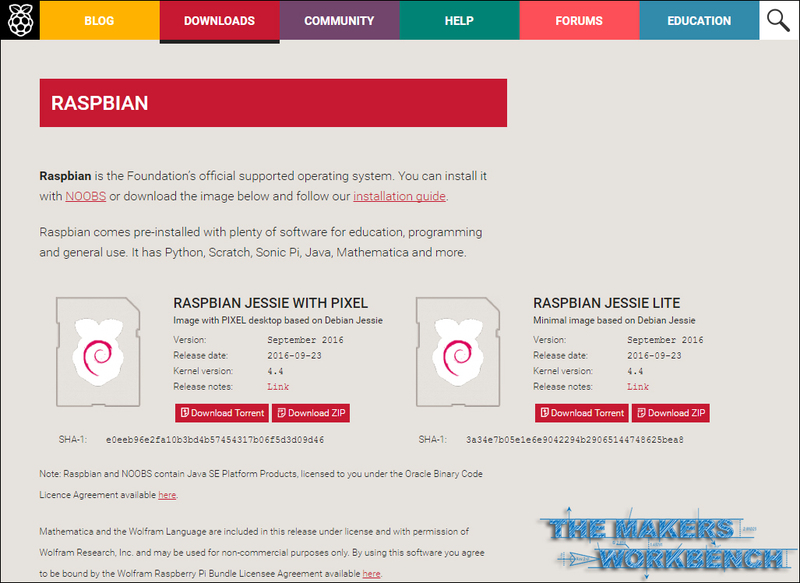 Step 1: Download the latest version of Raspbian from the Raspberry Pi website. I suggest that you use the bittorrent link and a program like Deluge to download the image as it is orders of magnitude faster than the direct ZIP download link. Step 2: Insert the Micro SD card into the card reader and check which drive letter was assigned. 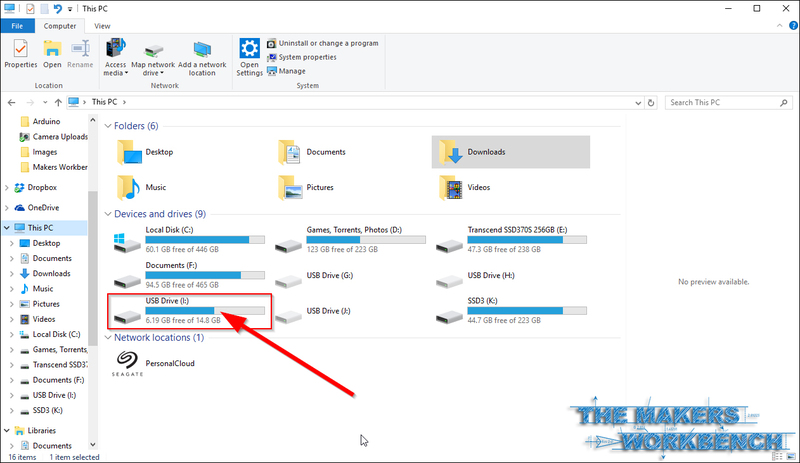 You can determine the drive letter, such as H, by looking in the left column of Windows Explorer, or by opening the "This PC" directory and locating it there. Step 3: Download the Win32DiskImager utility from Sourceforge as a zip file; you can run this from a USB drive. Step 4: Extract the contents of the both zip files using a utility such as 7-Zip or WinRAR. Place the Raspbian Image somewhere that you can easily find it, then extract Win32 Disk Imager somewhere like the desktop. Now run the Win32DiskImager utility. Note that you may need to run this as administrator. To do so. simply right-click on the file, and select Run As Administrator. Step 5: Select the image file you extracted earlier. Step 6: Select the drive letter of the SD card in the device box. Be careful to select the correct drive because if you get the wrong one you will deststroy all of the data on whichever disk you have selected. This could lead to your entire hard drive being deleted if you accidentally select your OS drive. If by chance you are using the SD card slot that is built into your computer and the SD Card is not showing up as a drive in the Win32DiskImager window, try using an external SD adapter. Step 7: Click Write and wait for the write to complete. Step 8: Exit the imager and eject the SD card. 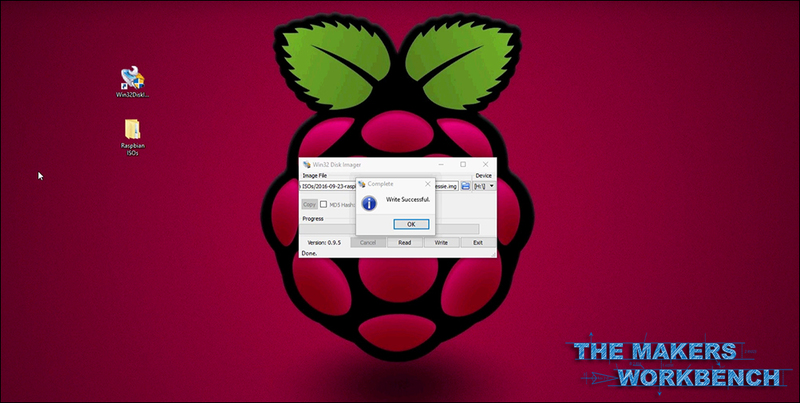 Step 9: Insert the SD Card into your Raspberry Pi, and boot it up for the first time. That is going to wrap up the first tutorial in our Raspberry Pi Basics series. Tune in two weeks for the next installment!